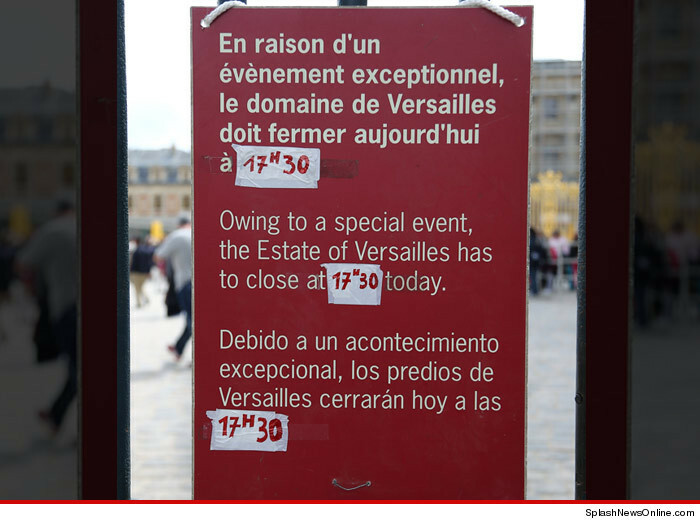 This is some "Da Vinci Code" level trickery -- Kim Kardashian and Kanye West have set up TWO separate wedding venues (one at Versailles and one in Florence) and all signs are pointing to TWO DIFFERENT CEREMONIES ... one tonight and one tomorrow. 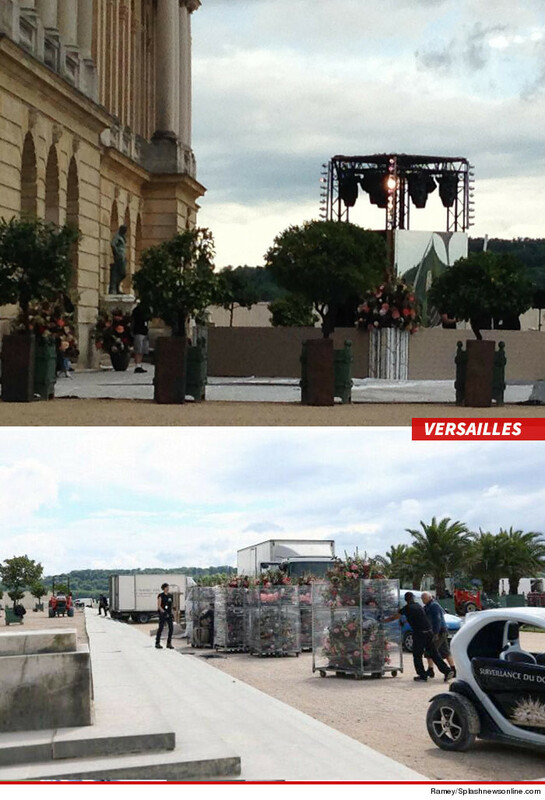 The photos speak for themselves -- a full wedding set-up is currently in place at Versailles (note the flowers, lighting, and the "closed" sign) and another is ready to go at a 16th century fort in Florence (piano, aisle, seating arrangement). It's possible one location is a decoy to throw off the media, but here's what we know: trusted sources extremely close to Kim initially told us the "I do's" would be exchanged tonight at Versailles ... but who really knows what Kanye's planning. The wedding rules at Versailles are strict, so that would explain why Kanye would arrange for a reception in Florence ... to party it up ... but it doesn't explain why there's also an aisle set-up in Florence (aisle = vows). Our sources also tell us, Kim has a separate wedding gown for Florence, but it's unclear if that's just a run-of-the-mill Kim K wardrobe change ... or if she plans to exchange "I do's" in Florence instead. Or maybe she's getting married twice. Yeah, our heads hurt too. 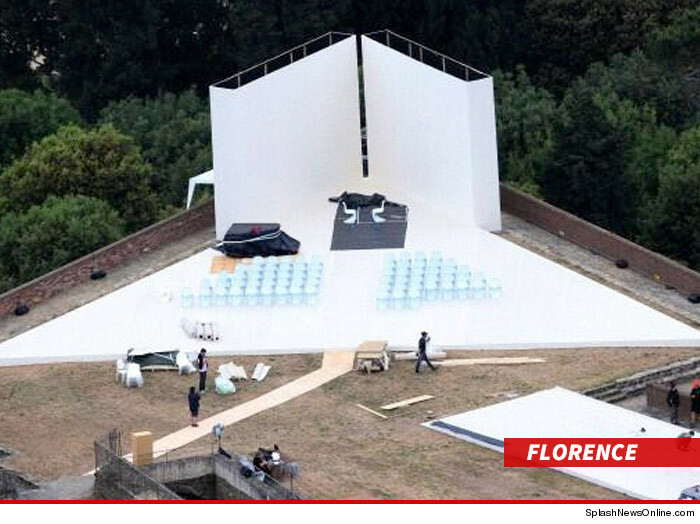 Kim Kardashian and Kanye West -- Bougiest Pre-Wedding Fete Ever ... Thanks, Valentino!